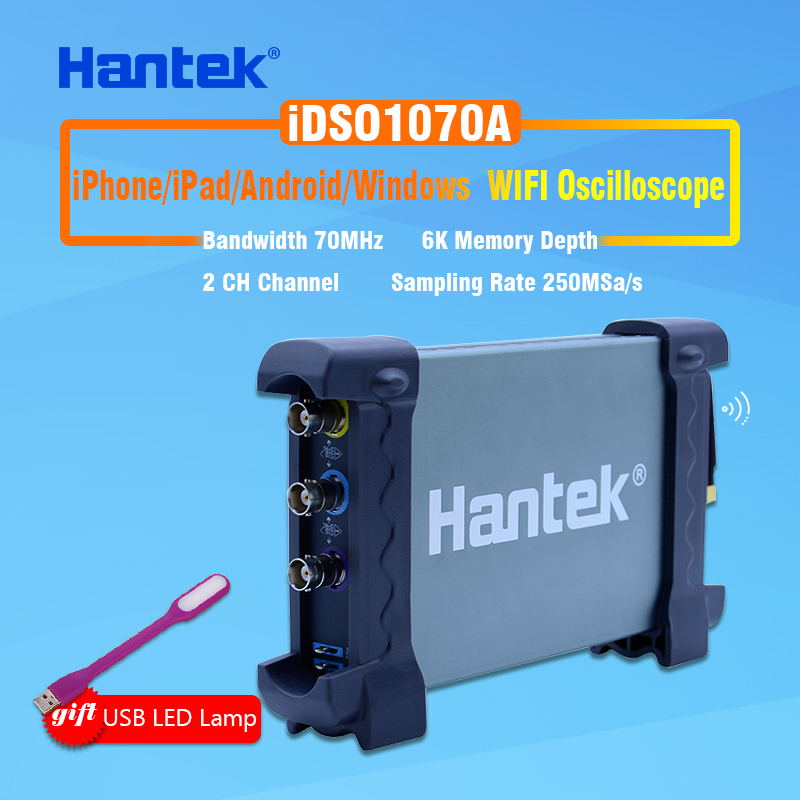 *WIFI Communication (USB Communication), WIFI Direct Connection/ Router Connection. 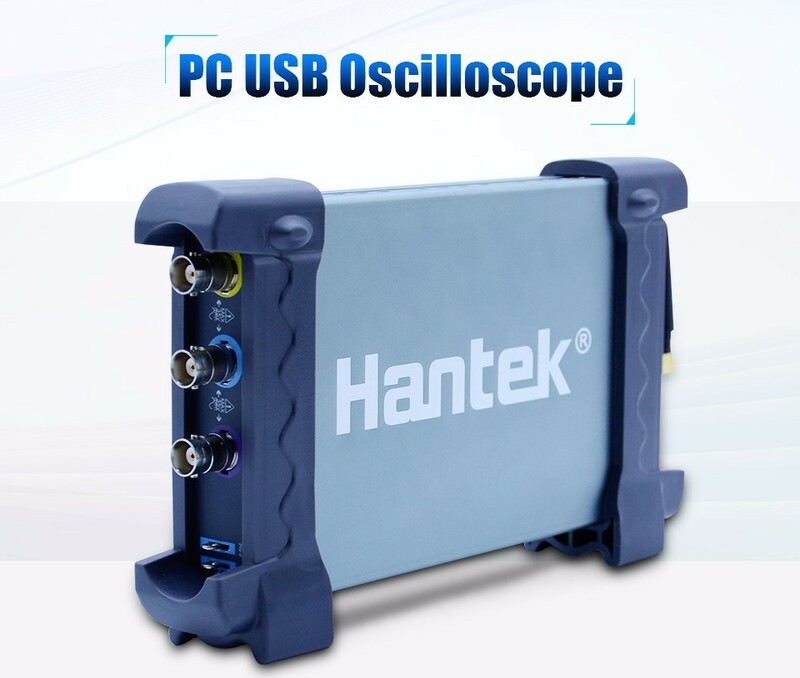 *Build-in Lithium Battery with 4 hours endurance, no need of External Power. 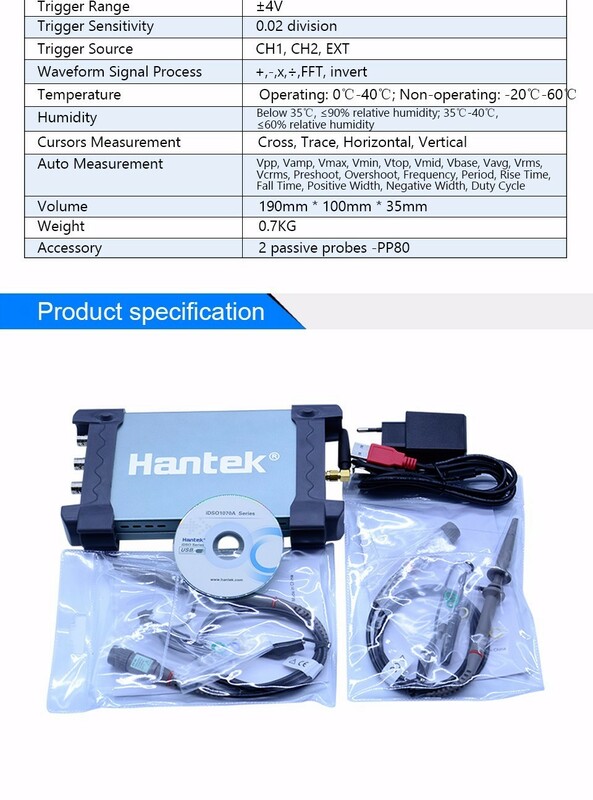 Floating Measurement is available, safe and convenient. 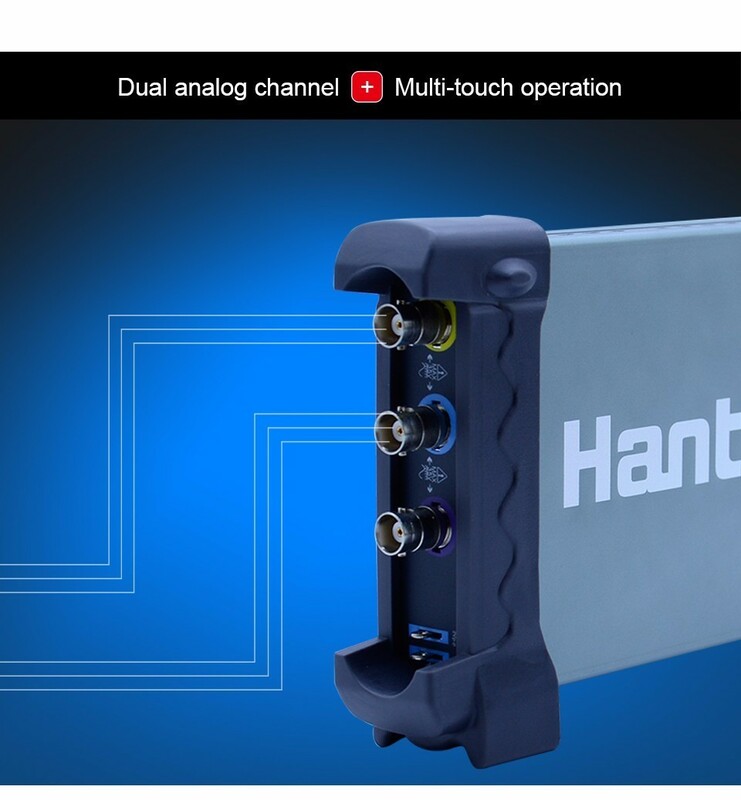 *Can be connected with iPad and iPhone at the same time. When operating on iPad, it can also be observed on iPhone. *Small size which is convenient for traveling. 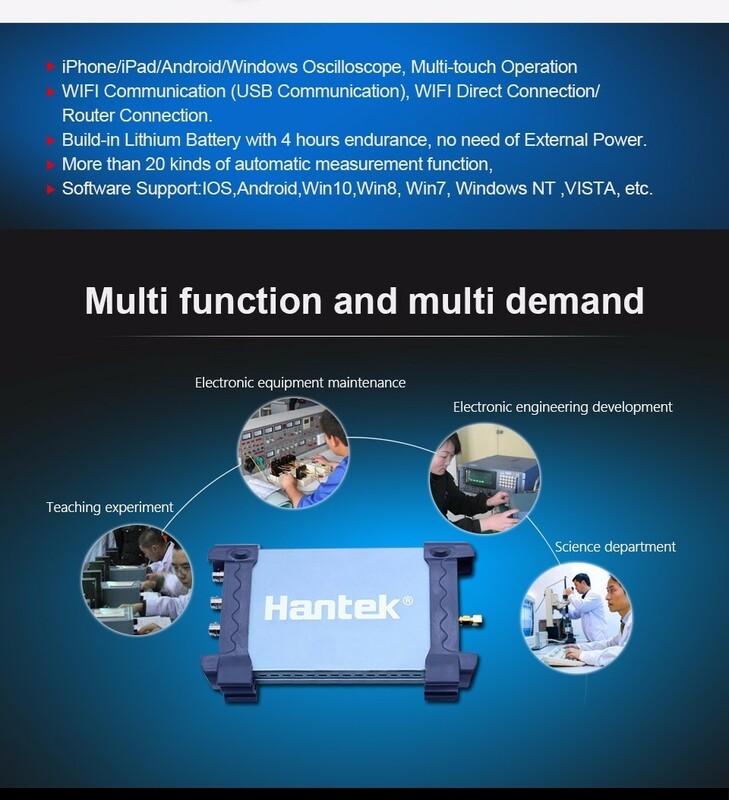 *Software Support:IOS,Android,Win10,Win8, Win7, Windows NT ,VISTA, etc. 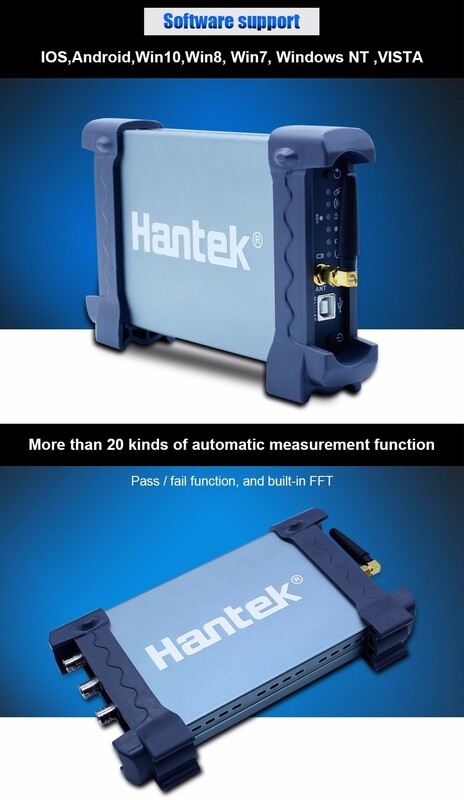 *More than 20 kinds of automatic measurement function, PASS/FAIL Check function, fit for engineering application. *Waveform averaging, afterglow, lightness control, reverse, add, subtract, multiply, divide, X-Y display. 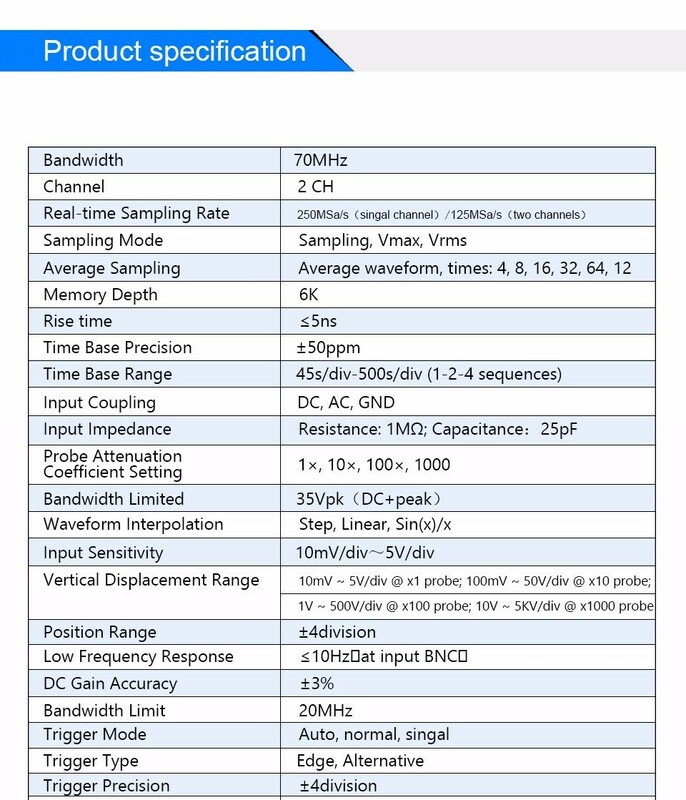 *The waveform data can be output as EXCEL, BMP, JPG according to time and voltage. 1.If you are not satisfied when you receive your item or with quality problem,please contact us,we can offer return or resend warranty but please offer evidence to show the problem actively. 2.If you get wrong product,we will offer resend according to product value.Or refund some money to reach agreement. 4.All returned items MUST BE in the original packaging and you MUST PROVIDE us with the shipping tracking number, specific reason for the return, and your po#.